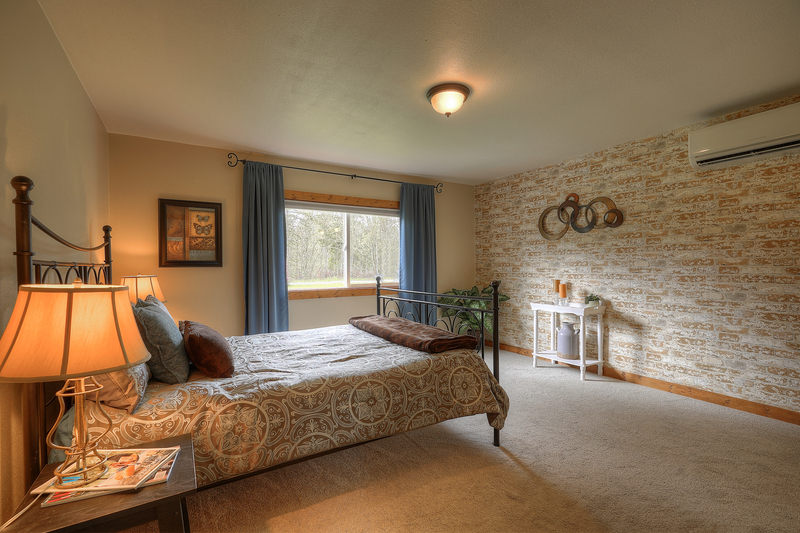 This Pacific Northwest getaway is nestled on 4.76 acres of scenic land in Eatonville, offering a rare opportunity! Beautifully updated and brimming with custom details, this 1,512-square-foot home is an absolute gem. 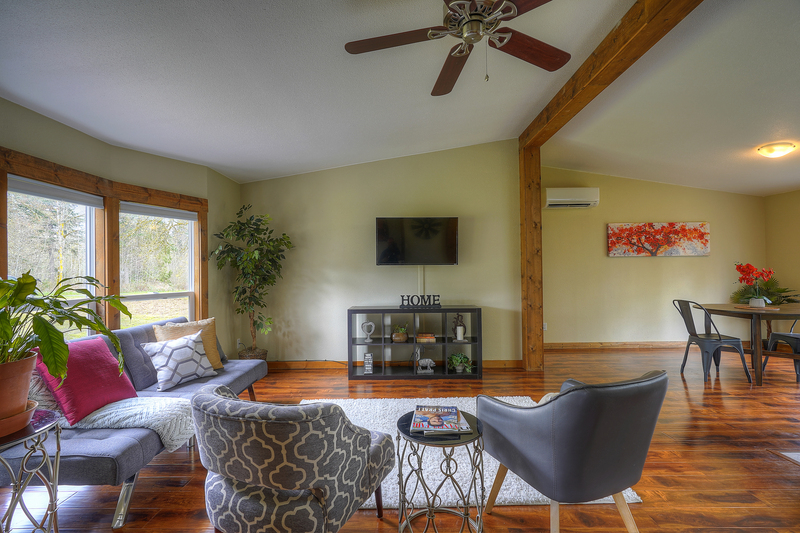 In addition to updates like a new shed, new flooring, new light fixtures, a new guest bath insert and more, you’ll find a newer well filtration system plus a ductless heat pump system that provides efficient heating and cooling. 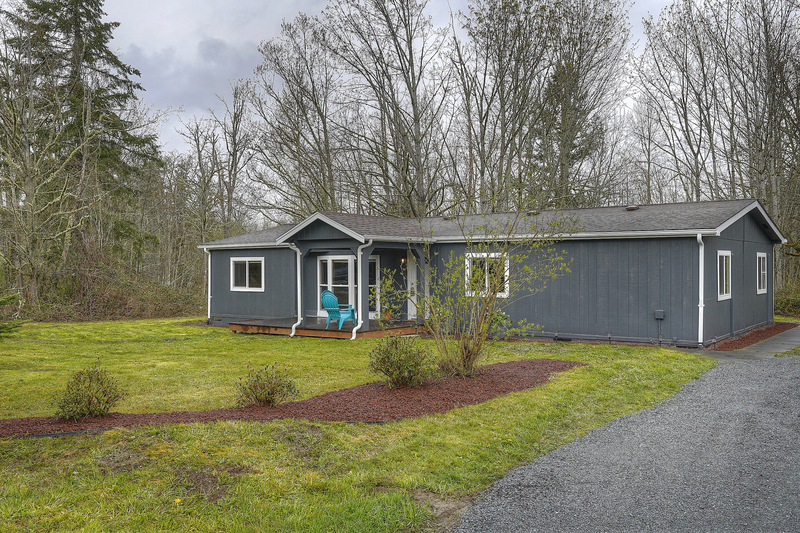 Located at 10111 395th St E Eatonville WA, 98328 and only a 5-minute drive into town, this 3-bedroom, 1.75-bath gem is listed for $335,000. Surrounded by trees and lush greenery, it’s evident from the moment you pull in the driveway how much this home has been cared for and maintained! 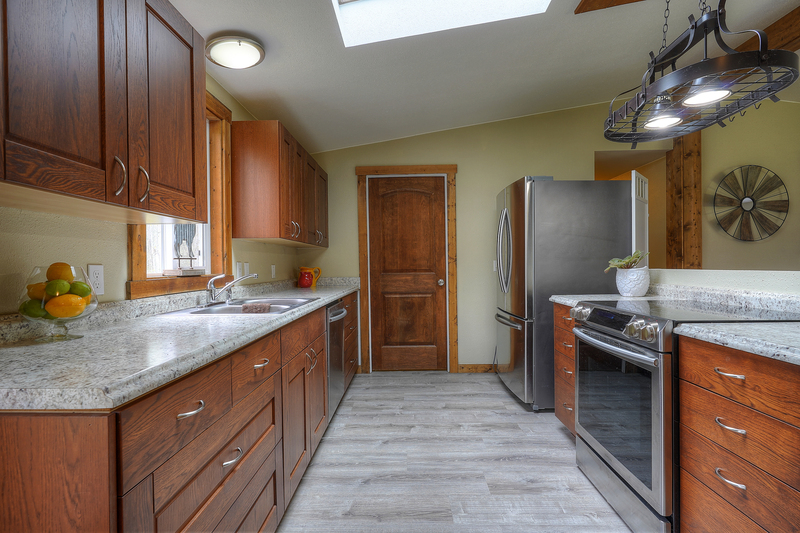 The majority of its upgrades were done in 2016, and recent updates include things like new exterior and interior paint, new vinyl plank kitchen flooring and laundry flooring, new light fixtures, and a new guest bath insert. When you step in through the front door, this home’s open, welcoming layout unfolds to reveal light-filled living spaces with gorgeous finishes. Details like wood-wrapped windows and a wood beam overhead add a touch of cabin-inspired style, and vaulted ceilings add to the spacious feel of it all. The living room flows right into the dining area and kitchen, and here you’ll find an expertly designed space replete with an attractive blend of fashion and function. A skylight shines the spotlight on sleek appliances, shimmering counters, and handsome cabinetry, each element carefully selected to create a cohesive aesthetic. This home features 3 comfortable, inviting bedrooms in addition to a flexible office/den, and each private haven offers something unique. Cozy carpets, beautiful wood-wrapped windows, wood trim, stylish accent walls, and lots of natural light are all in the mix. With 4.76 acres all to yourself, you’ll find that the list of outdoor possibilities is a long one! RV parking and a new shed offer even more square footage to take advantage of whether you use the space for storing your outdoor tools and toys in or you use the extra room for a workshop. You might choose to keep the yard simple and low-maintenance, or you might get to work planting vegetable gardens, building a deck or patio, raising livestock, building a play toy… outdoor bliss awaits! 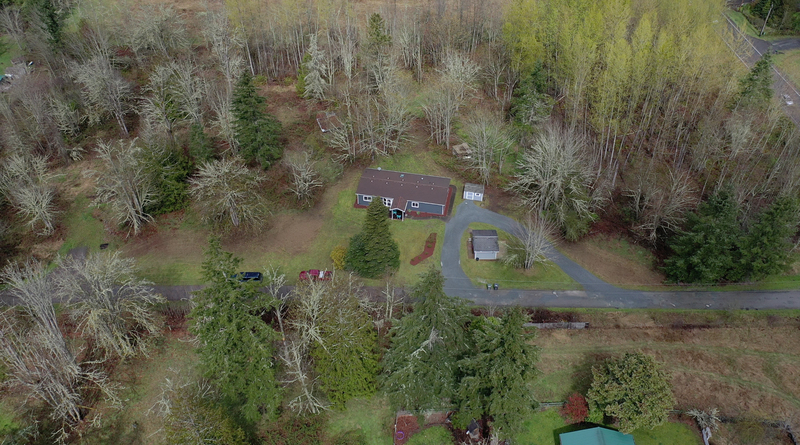 At 10111 395th St E Eatonville WA, 98328, you’re tucked away in a secluded country setting. Eatonville’s city amenities are just a 5-minute drive away, and when you head into town you’ll find schools, grocery shopping, restaurants, shops, services, and more. Those who love outdoor adventures are in for treat—opportunities for fishing, boating, hiking, camping, and more surround you. Interested in learning more? Click here to view the full listing! You can contact REALTOR® Erin Dobrinski online here or give her a call/text at (253) 380-7702, or reach out to REALTOR® Tom Dobrinski online here or give him a call/text at (253) 380-6257.